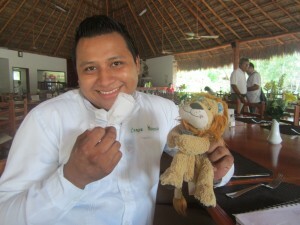 and by a waiter called Luis, (the Spanish version of Lewis!) 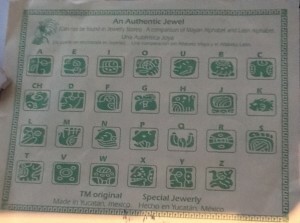 who taught him how to say the key words in his language: Mayan. Pisha pell – How are you? 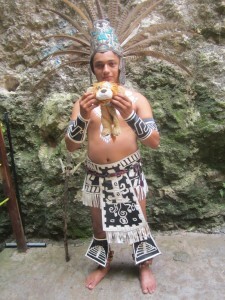 Lewis was also lucky to hear two people recite a poem in Mayan at the Chichen Itza archeological site. It was the first time he’d ever heard the Mayan language spoken! Click here to hear what Mayan sounds like. 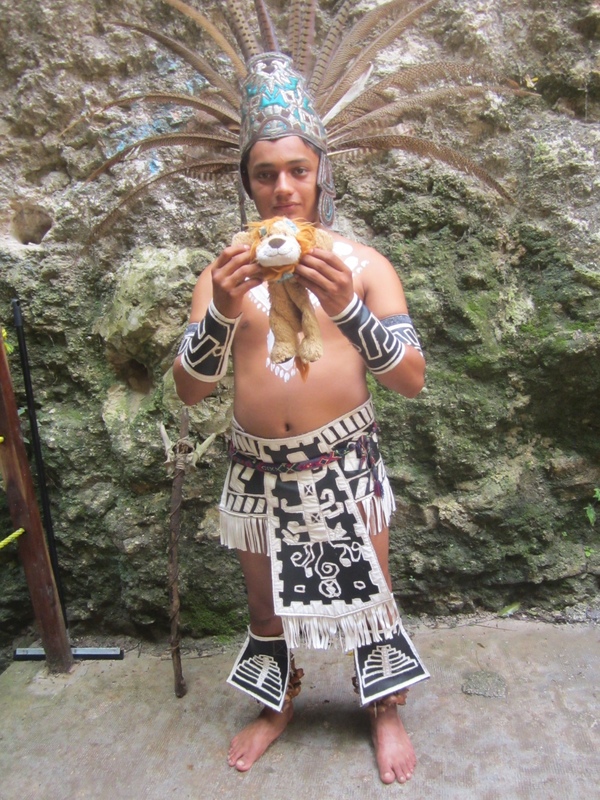 Lewis the Lion also learnt about the Mayan writing system which was pictorial, a bit like the hieroglyphs of Ancient Egypt. 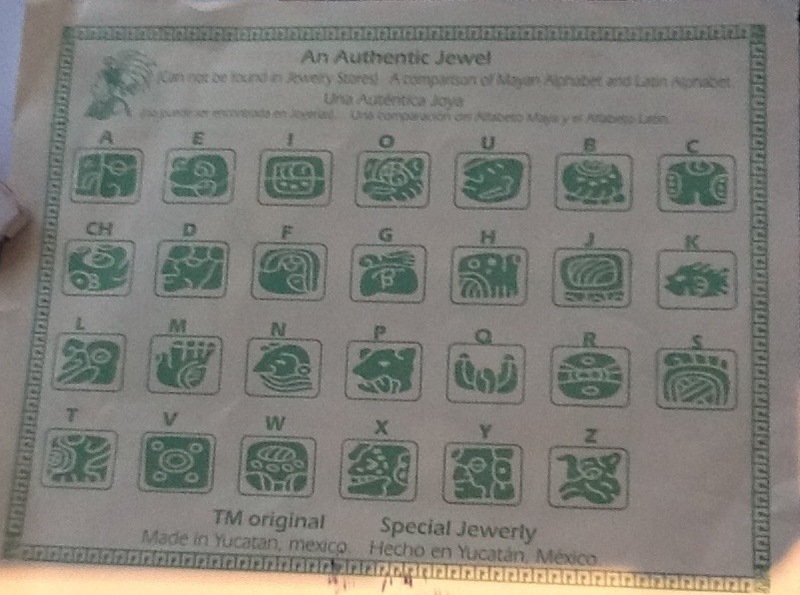 Can you write your name using the Mayan writing system?